In 1975, the chance meeting in a college canteen with a bizarrely varied group of foreign students, resulted in my acquisition of a Greek boyfriend. Having been fascinated by cooking and food since childhood and also being convinced of the old adage, that the quickest way to a man’s heart is through the stomach, I dashed out and bought the only Greek cook book I could find. 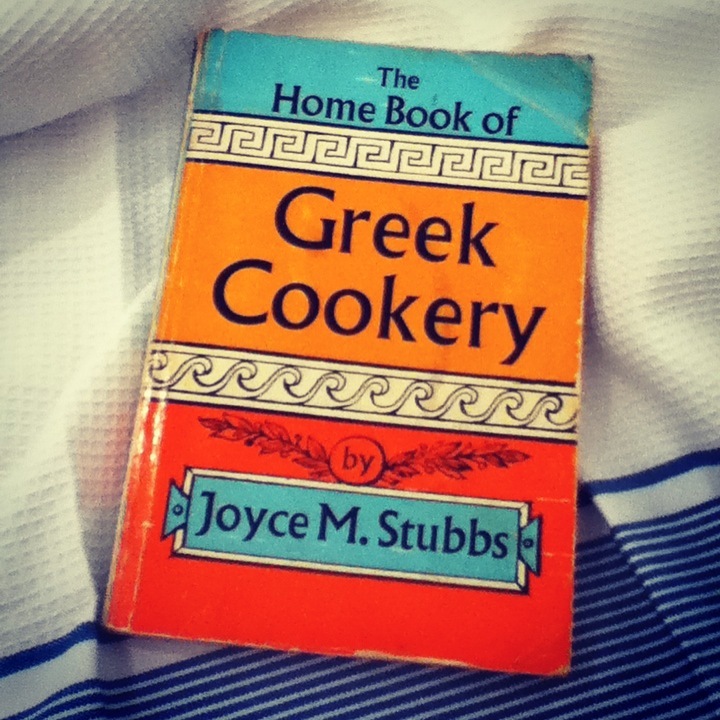 Fortunately, it was the classic ‘The Home Book of Greek Cookery’ by Joyce Stubbs. This was my very first experience of a cuisine that would become second nature and also to a country that would become my second home. 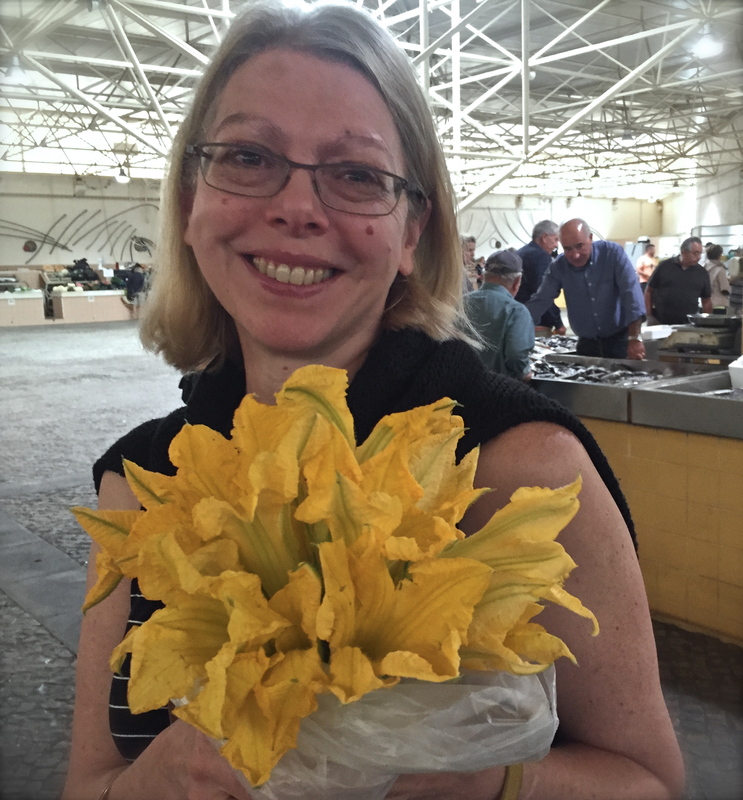 In the intervening years, the boyfriend transformed into my husband and our story meant that we lived on a Greek island for many years and also in Athens – perhaps the coolest city in the Mediterranean! Of late our travels have rested in England but I cannot shake off the smells, tastes, colours and warmth of Greece. My endeavours to capture it all are here…. I think your story is so wonderful! Having had 3 of the best years of my life growing up in Cyprus (pre-developed & somewhat spoiled?!) (Yes, me & the island!) I miss the Med terribly. I really look forward to reading more of your story, recipes and life, Mrs Kouzina! I’m so pleased that you have enjoyed my ramblings! These Mediterranean islands are so magical – especially before the tourism ‘revolution’. I don’t think you ever really leave them, once you’ve lived there and experienced it all. Hope you get back there soon. Jane – a great website. Looks good and the recipes are straightforward and easy to follow. Thanks. Thank you, David ! Really good to know that ! I own that book by Joyce Stubbs too and its just as tattered as yours! Still a favourite though ! Love your recipes, love visiting this site! I first came across Joyce Stubbs’ gem of a book in a public library in Glasgow’ s Royal Exchange Square. I re-discovered it on Amazon a couple of years ago, and even though it no longer looks new, but a bit splattered with olive oil and the pages are yellowed with age, it has some of the best Greek recipes I have ever seen. Do you have any other favourites Jane? Thanks ! That’s really kind – so glad you like the blog. My copy of the Joyce Stubbs book is in the splattered and age-yellowed state ! Another real favourite is Cooking the Greek Way’ by Anne Theoharous – it’s very good for standard Greek dishes. Sadly it is also out of print – but I did manage to get a copy for a friend from Abe Books. Another favourite is Vefa Alexiadou’s ‘Vefa’s Kitchen ‘. It’s a bit of a a hefty tome but is very informative. Vefa is Greece’s ‘Delia’, so her recipes are well-tested. It’s well-worth the investment. What’s you favourite dish ? I love light simple dishes, vegetable stews- Briami, and I cook a very good Moussaka also light, but still traditional. I love Walnut Cake steeped in orange spicy syrup, andmy speciality Galaktoboureko. Anne Theoharous’ book is on my kitchen shelf too and is often my go-to book for family favourites. Thanks ! The Anne Theoharous book is one of my all time favourite books – all the recipes are so precise and well-explained. Such a shame it’s out of print !